Junior Eurovision 2015: YouTube views predict a win for Lena Stamenkovic? Malta’s Destiny Chukunyere, Russia’s Mikhail Smirnov, and Slovenia’s Lina Kuduzovic may be your favorites to win Junior Eurovision 2015, but when it comes to YouTube views, Serbia’s Lena Stamenkovic comes out on top. She’s amassed an impressive 325,000 views on the official Junior Eurovision YouTube channel. Does this indicate a win for Serbia? It’s hard to say. After all, some videos have more advantages than others. Last year, Krisia, Hasan, and Ibrahim from Bulgaria had the most YouTube views, and finished an impressive second. Italy’s Vincenzo Cantiello was a mere fourteenth in YouTube views, but managed to pull off the victory. You can take a look at all the views of the competitors below. Countries are ranked here on the basis of their video with the most views on JuniorEurovision.tv only. This means no VEVO or uploads by other people. Please note: This information is correct as of 15:30 CET on Wednesday, 11 November, 2015. While no video this year has gotten the mass acclaim that Bulgaria or the Netherlands received last year, quite a few singers are in the six-figure area. Serbia’s Lena Stamenkovic has reached around 325,000 views for her song “Lenina pesma”. This is more views than Vincenzo’s music video for “Tu primo grande amore” has today, a year after his victory. Could this be a sign for a Serbian victory? In second place is Slovenia’s Lina Kuduzovic. Her video for “Prva ljubezen” has 180,000 views. Her high ranking in YouTube views makes sense, however. She’s been a consistent favorite of the Wiwi Jury and the readers, and she has tons of name recognition in her home country from her Slovenija ima talent victory. Of course, there are a few problems with using YouTube as a predictor. The videos were all uploaded at different times, allowing some more time to get views. This definitely has impacted Ireland’s Aimee Banks, the last to be selected. She has only 7,000 views for her video. just the unfortunate reality. Integration among adaptation is undoubtedly necessary. 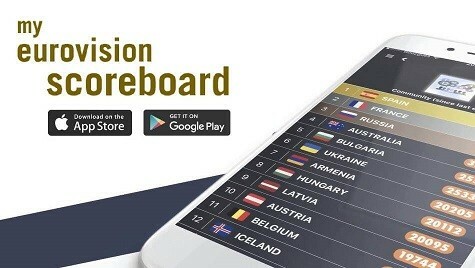 I think fight for victory wili be between Australia and Armenia, I predict Australia thanks to sing in english plus Australia will get overrated points from juries like Sweden 2015 in adult contest. Fight for 3 to 5 place in final wiil be between Georgia, Malta, Russia, Ukraine,Belarus and Italy thanks to overrated points from juries. Very Interesting. Having a lot of Youtube views means that the people who like the song REALLY like the song and are either listening to it frequently or giving the link to their friends or social media followers. This is never a bad sign, but it doesn’t necessarily mean that the general population will love it. I think that the winner this year is impossible to predict until we see the running order of the songs. I do, as well to San Marino, wish Serbia the best of luck. This song is even better than Emilija last year, poor, so underrated Emilija. I hope Lena does well though. I consider it as a possible winner, it reminds, not the song but Lena herself of Ukraine 2012 participant, and winner, so that might be an indicator. I dont think YouTube is the best indicator of the winner. *hype of a song. Sorry. Example of Malta: Posted the video on 26th October and its population of 400,000 people. There were other videos which were posted many days before and have a bigger population! IMO, 325,000 is not that impressive considering how Planet of the Children got a friggin’ MILLION views! no, it’s the same situation as bulgaria last year. Serbia’s song is my favorite but i’m #TeamMacedonia (don’t look at my name lelelelele). I’m from the Netherlands myself but our song is kinda bland, but she has one of the best vocal ranges and voices in general. My least favorite song is the one from Slovenia, I don’t get the hype :/, it’s just so bland to me and I feel like she could’ve used her vocals in a more interesting way.